FuturaGene, a Sao Paulo, Brazil biotechnology company in the forestry industry will collaborate with Donald Danforth Plant Science Center in St. Louis to apply FuturaGen’s yield enhancement discoveries to food crops in developing countries. Financial and intellectual property aspects of the deal were not disclosed. FuturaGene, a subsidiary of the Brazilian forestry products company Suzano Pulp and Paper, will provide its biotechnology discoveries for increasing yields of woody biomass to the Danforth Center for testing with food staples grown by farmers in Brazil, as well as Asia and Africa. The first tests are expected to involve model plant species, and if successful, then expanded to specific food crops. The studies also aim to boost plant biomass levels and make crops more suitable as animal feed. 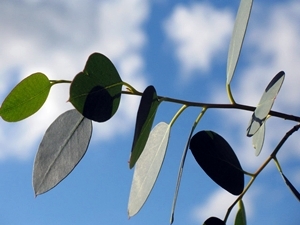 FuturaGene’s research on yield enhancement has so far been applied to plantation forestry products and biomass feedstocks for biofuels, such as poplar and eucalyptus. The company’s work in this area focuses on relaxing the rigid cell walls in forest plant species consisting of cellulose, sugars, and lignins. FuturaGen says its discoveries make it possible to replace some of the natural sugars in cell walls with new types of sugar that make the plant more easily processible after harvest for pulp or biofuel. FuturaGene has lab facilities in Brazil, Israel, and China. The company says it also has technology licensing relationships with Purdue University, the University of Arizona, and Oregon State University in the U.S., as well as Hebrew University of Jerusalem in Israel, and the University of the State of Sao Paulo and Sao Paulo University in Brazil. In October 2012, the Danforth Center established its Institute for International Crop Improvement that the center says expands its research on trait improvements, product development, and biosafety to a greater array of crops related to food security. The institute focuses on staple crops important to subsistence farmers such as sweet potato, banana, cassava, sorghum, maize, rice, groundnuts, millet, and cowpea.